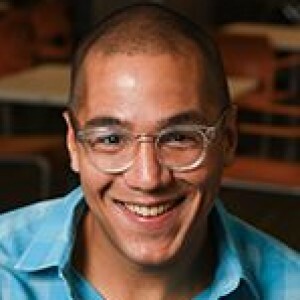 Bienvenido “Benny” Torres graduated from the University of Florida in 2007 with degrees in Psychology and Advertising and landed his dream job working on the Nintendo account (a life-long passion) at Leo Burnett in Chicago. At Burnett, he quickly became known as the go-to guy on video games. He parlayed that into a full-time position researching any games for which Burnett was developing ads. In 2010, he joined joined Publicis-backed boutique firm Denuo as an “alchemist,” a hybrid role requiring a mix of skills traditionally associated with account management, account planning, creative direction, production, media planning, copywriting, engagement planning and game design. In 2012, he returned to Leo Burnett as a copywriter and strategist working on the Nintendo, Sprite and Always accounts. Torres came to CJC in 2015 as an Advertising Department visiting professional teaching creativity and, in 2018, was hired as a full-time lecturer. He also is the first chief idea officer of SRW.agency, an independent, full-service Chicago marketing agency and the host of a biweekly “devstream” for Dungeon Defenders II, a product by local mobile game developer Trendy Entertainment.